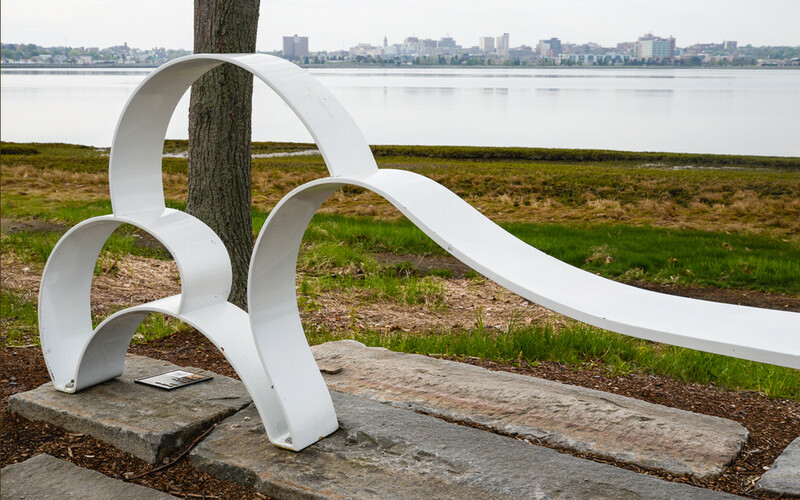 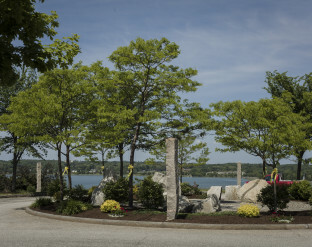 Vivian Beer was chosen to place her sculpture, Rustle Diptych II, in Winslow Park, at the corner of Baxter Boulevard and Temple Street in 2008. 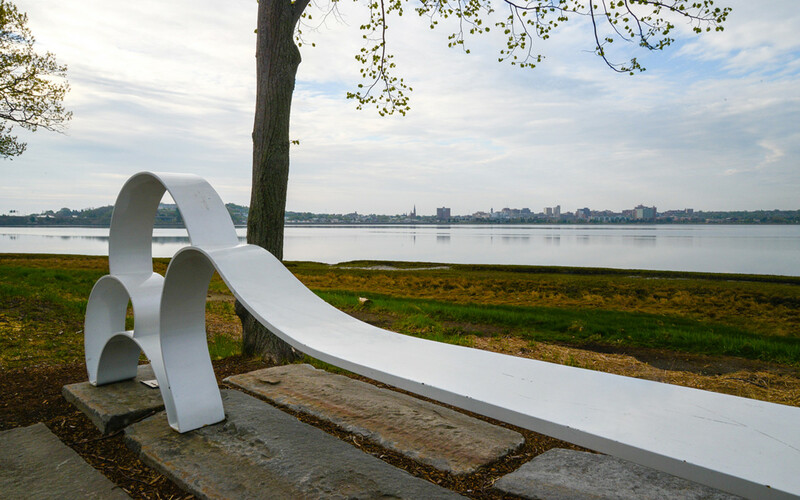 She contributed Cloud Couch as a companion piece for Rustle Diptych II. 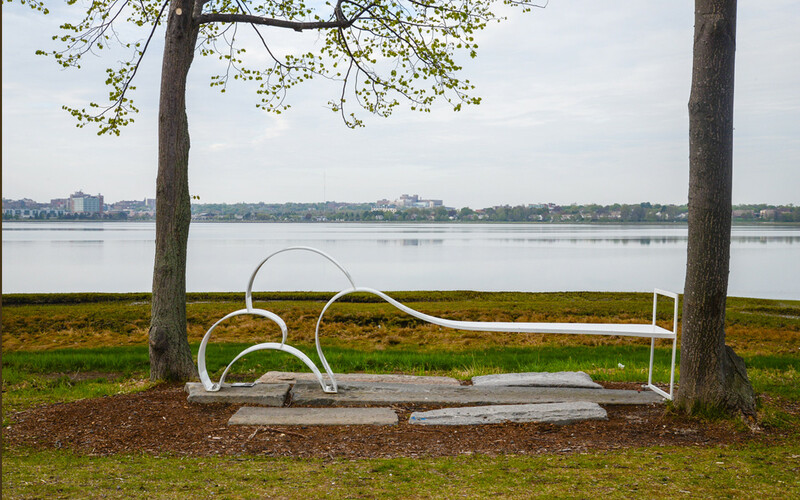 Cloud Couch is white painted steel sculptural seating and evokes both clouds and waves. 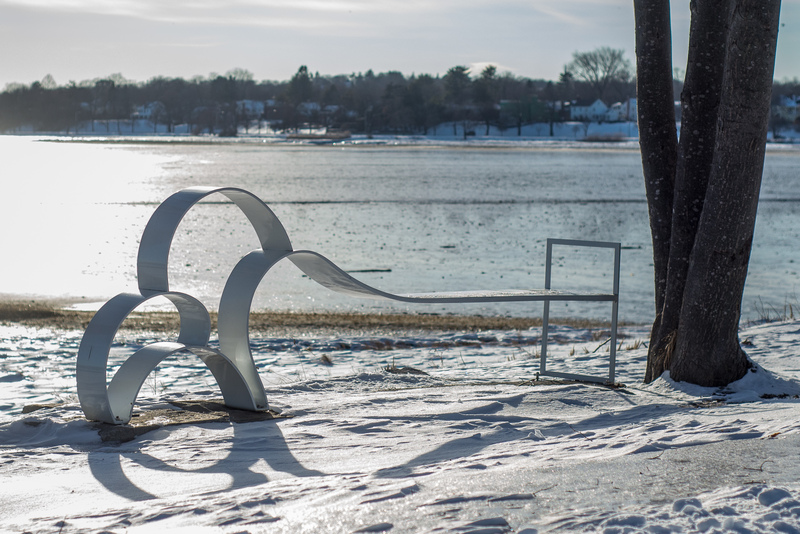 Winslow Park was for many years the home of a carved wooden sculpture, Milkweed Pod (1975), by Maine sculptor Clark Fitzgerald. 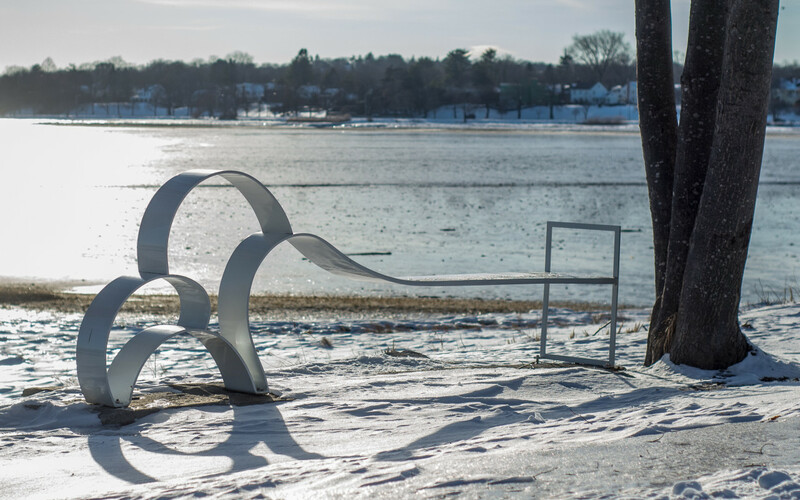 Carved from a Deering Oaks Park log, it was installed as a temporary piece in the park. 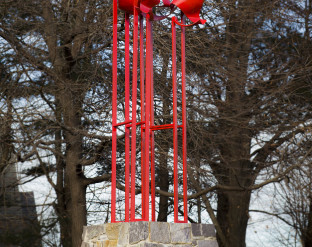 It became so popular, however, it was eventually moved to Winslow Park and became a part of the City’s permanent public art collection. 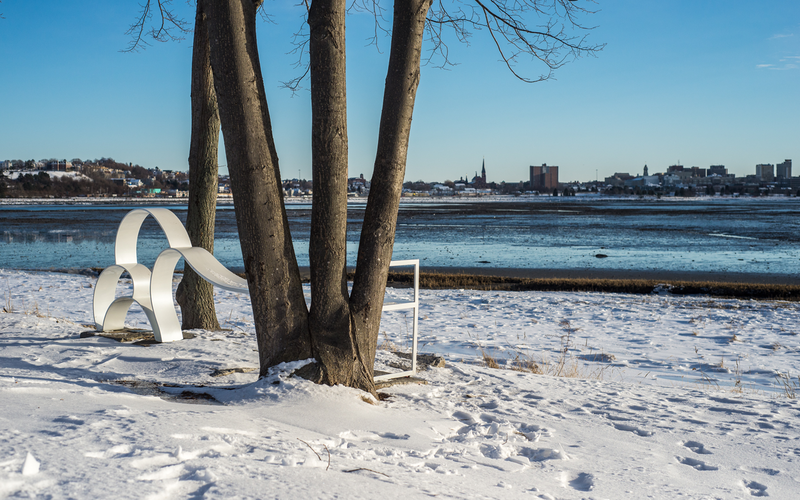 The sculpture gradually rotted and eventually blew down in a strong wind. 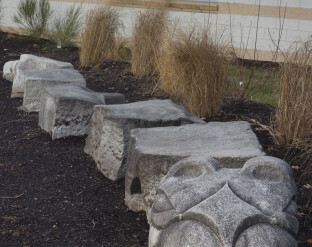 The Portland Public Art Committee, instead of pursuing a new commission, decided to replace it with an existing sculpture by a Maine-based artist, and Beer’s work was chosen.